For decades, a passion for vintage motors was regarded as an eccentric hobby, particularly prevalent among the wealthy of an older generation. Today, classic cars have an ever larger, younger fan base. Events such as the Mille Miglia in Italy, the Festival of Speed at Goodwood in England, and Pebble Beach in the U.S. enjoy increasing popularity and booming visitor numbers, year after year. In an opulent coffee table book, Classic Cars Review celebrates the classic car phenomenon by presenting the most beautiful, exciting, and exclusive vintage vehicles, until now only visible in museums or behind the locked doors of private collections. It’s a Concours d’Élégance in book form, showcasing such icons as the Mercedes-Benz 300 SL Gullwing, Aston Martin DB5, and Rolls-Royce Phantom III, as well as a multitude of extraordinary cars with remarkable histories—whether owned by well-known personalities or ushered in extraordinary successes on the racetrack. Many of these cars were produced in minimal runs or are one of few surviving models. In addition to the vehicles themselves, this must-have classic car book also shows the institutions and key players behind the exclusive vintage car scene. 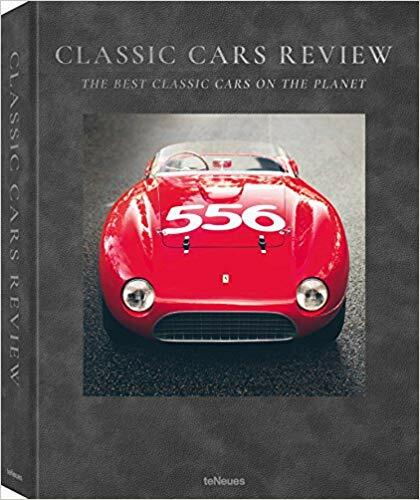 With large, never-before-seen collections and their collectors, Classic Cars Review provides exclusive insights into the world of the largest classic car auction houses, the most innovative classic car dealers, and all the key vintage car events.